A wonderful collection of soul stirring performances by maestros. Truly, our classical music has divinity in it. Thank you for sharing these gems and also for your erudite comments. Are you sure that’s a Yaman by Ustad Amjad Ali Khan? To be frank, not very sure. I am going with the file name. I share Rahul Bhattacharya’s doubt. I am dead certain it is not Yaman or anythig close to it, but unfortunately I cannot guess what it is. It should read `Raga Shubhlakshmi’ – `Yaman’ looks like a typo error.. Yes, it is Raga Subhalakshmi. Thanks Bhargav ..for identifying the Raga. The name stands corrected now. nothing like bhartiya shashtriya sangeet. thanks a billion for the uploads. because of the lack of the indian texture that we see in and around us. won’t understand what i am talking. 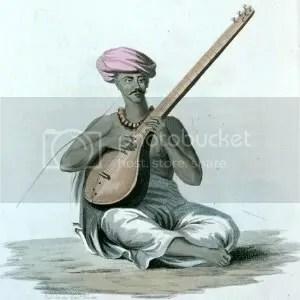 I must congratulate you for spreading Indian classical music. Keep up the good work.